Seeing young people chase their dreams in the face of adversity never fails to warm our hearts. Siyabulela Mboyiya from Adelaide Eastern Cape happens to be one of those people. This young fellow had dreams of becoming great ever since he was a child. “I used to look up into the sky and pray to God to make me greater but I didn't know life wasn't easy. I thought, 'I would love to change the situation at home! ', but I wasn't sure if people would support me. ” Fast forward a couple of years and he’s well on his way to doing exactly that. Siyabulela says his mind was set on becoming a producer. once he saw how creative he was on a computer. His dreams took flight after many years taking part in auditions and competitions representing his home town. His passion is certainly paying off. It certainly wasn’t an easy road though. Siyabulela lost his father at the tender of a very young age. Fortunately, he sees the silver lining of all his hardships and troubling times. “In those challenges, I learned lots of lessons. It made me the person I am today. I told myself that I wasn’t going to give up, even though I was going through all the challenges. My grandmother told me I must do my best in everything I do and that life wasn't going to be easy.” We’re sure his grandmother is incredibly proud right now. 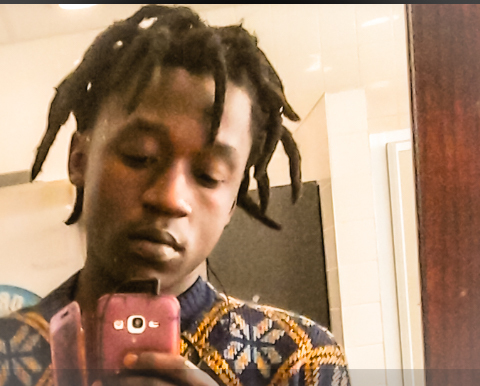 According to people who know Xenee Lee , the young man is a well-respected role model in his community, who attended regularly and remained committed to his studies. People say Siyabulela was quite the bright, hard- working student. They got to see first-hand not only his academic potential but his leadership skills." Unfortunately, some more challenges arose for Xenee Lee , including financial aid to study further. Siyabulela is adjusting well in everything he does. His dedication allows him to grow more and more. His granny has supported Xenee’s education with personal funds as well. He is very grateful for the love and care, he . . .
Tuesday, April 30th is our big day – and we’ll kick start a year-long celebration of this important celebration by with mega partying featuring many awesome local artists and tons of prizes! This year, we’ll be turning the tables. While most usually receive gifts on their birthdays, we’re planning to give back. So look out for some exciting events, giveaways and lots more in the lead up to this important celebration. For starters, there’s a gift for you online. Visit uShaka’s website, update your details, and claim: • Your Combo Ticket voucher: Our 15th Birthday Tickets Voucher offers park entry for R150 per person (Voucher is for 1 adult and 1 child). • Entry into the park for R15 on your birthday (bring a copy of your ID when it’s your birthday you get in for just R15) once you have registered online. “Enter the Spend and Win Competition taking place throughout participating outlets at uShaka Marine World from 30th April - 30th June. Spend R115.00, fill in an entry form and pop it in, together with your till slip, into one of the entry boxes placed throughout the park and uShaka’s Village Walk Beach Mall and you will be included in the draw to win one of 15 big uShaka Marine World birthday prizes! These prizes include anything from 4 platinum passes up for grabs, a R1000 Cargo Hold Voucher, a large uShaka merchandise hamper, a photoshoot with Happy Snappy, a Wet n’ Wild photo pack valued at R250.00, an aquarium photo pack valued at R380.00, a snorkel photo pack valued at R350.00, an Ocean Walker photo pack valued at R350.00 and a Shark Dive photo pack valued at R350.00. 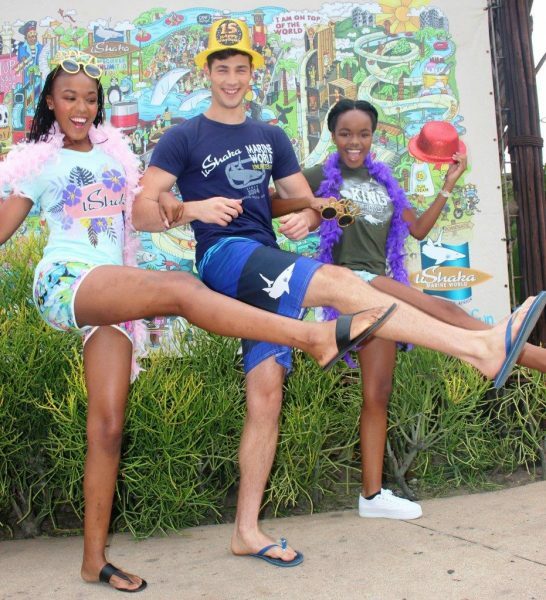 You also stand to win meal vouchers at Wahooz on the Promenade and other park outlets and a host of animal interactions, including a snorkel for two (valued at R350.00) an Ocean Walker for two (valued at R350.00) and a shark dive for two (valued at R350.00). This competition closes on Sunday, June 30th with the big draw taking place on Monday, July 1st! There is also more - if you . . . 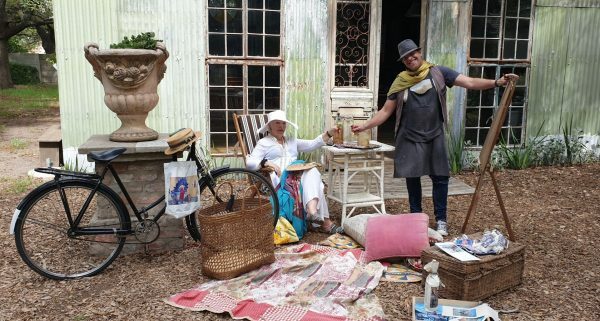 The Vintage Ideas market is happening at Simondium’s Country Lodge from 25-28 April and this year visitors will be wowed by the incredible array of vintage and vintage-inspired items. The care taken in showcasing authentic, hand-crafted goods sets Vintage Ideas apart from other markets. The theme of Vintage Travel has inspired products that not only recall the glamour days of travel in clothing, accessories and travel gear, but also the enchanting mementoes and produce that still inspire décor, gardening and culinary trends today. Exhibitors are travelling from far and wide to bring visitors a touch of the mysterious. Think fashion, accessories, plants, exotic flavours and spices. Quintessentially inspired by global trends across centuries, nothing speaks vintage as much as ceramics. But what to do with a cherished piece of ceramic from gran’s trousseau or the remaining pieces from mom’s Sunday best that is cracked or chipped? Consulting Dr Porcelain during Vintage Ideas is just the answer. Professional ceramics restorer and conservator Alida Vermeulen is travelling all the way from Murraysberg in the Great Karoo to be at this year’s market. Alida is a well-respected artisan and regularly works on Moorcroft, Delft, Limoge, Rosenthal, Foley, Spode, Lladro, Dresden, Royal Doulton, Royal Albert, unmarked European and eastern pieces. She will do short presentations on ceramic restoration, identify pieces and give valuations. Bring along your treasured teapots, figurines and other damaged heirlooms for a professional evaluation and a quote for the restoration of these items – and whether it will be worth it. Flowers always brighten up any home and Blomlief definitely speaks the floral language. Find exceptional floral designs featuring gorgeous local cut flowers before blooming season comes to an end. Exquisitely vibrant end-of-season dahlias and other autumn garden flowers will add that much needed pop of colour to your home or make the perfect . . .
Alongside the popular attractions that have made the South Coast Bike Fest™ (#SCBF19) Africa’s biggest biking and music festival – visitors can look forward to even more high-fuelled action with a host of new activities planned for the 2019 edition. The annual event, presented by Ugu South Coast Tourism and powered by Gearhouse, will take over the coastal town of Margate from 26 to 28 April. “We will be extending the South Coast Bike Fest™ event site by 1 kilometre, as well as growing the festival footprint by moving into the hinterland,” said event organiser, Vicky Wentzel. “This will give visitors an even greater opportunity to experience more of the incredible KwaZulu-Natal South Coast while also opening up the event to the wider community.” New attractions - Margate Enduro The WFO Hard Enduro Club-endorsed South Coast Hard Enduro Festival Race will form part of the 4th round of the KZN Enduro Championship. Riders will race along a specially-designed junior enduro track for 65cc and 85cc competitors, with the winner set to be crowned the Junior Margate Enduro Champion. - Stunts by the stars There will be some fun-filled entertainment for all spectators at KwaNzimakwe and KwaXolo with demonstrations by South African motorcycle trials’ champions, Bruce and Brent le Riche, as well as Yamaha South Africa’s brand ambassador, Alfred Matamela – AKA King Donut. He will also be hosting his popular Soweto Learn-to-Ride Academy Workshops for up-and-coming riders. Workshops. 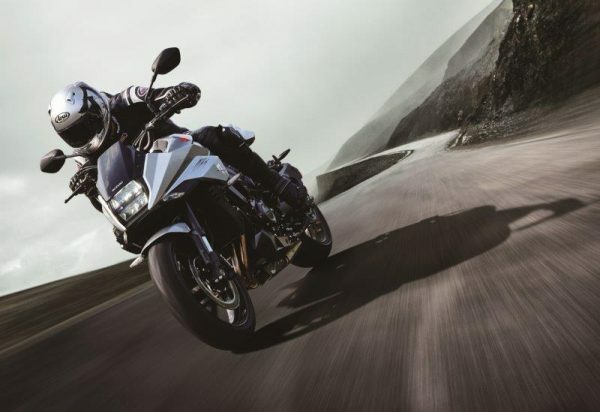 - Bike launch The #SCBF19 attracts thousands of visitors with a love of all things biking and, this year, enthusiasts will get to witness the launch of the all-new Suzuki Katana at the festival venue. - Sunset Beach Party On Friday, 26 and Saturday, 27 April, the Sunset Beach Party venue is where it’s all happening! Some of the country’s best DJs, gqom and hip-hop stars will take to the stage and turn up the beat. Forming part of this all-star gathering - and performing for the . . .
Nuclr announces a new EP titled Road To Glory Gays on twitter with the hashtag #RTGD which is set to be out on the 30th of April 2019. The EP consists of seven tracks which includes 1. Open Letter Freestyle, 2. Bottom Up, 3. Midnight Party which are produced by Bondo Plug. Also, track 4. Mayweather, 5. All That Am Feeling featuring Nylo Island, 6. Vibe and 7. Puff'n Pass / Fake Smoke, a fusion from the legendary Brown Dash, produced by Plain Pablo. Nuclr has released Open Letter Freestyle with a press release from Slikour On Life and Midnight Party with over four thousand downloads (4k) from SlikourOnLife website for promotional purposes for the EP. Live perfomances include locations like Pretoria State Theater, Artistic Sundays, Unplugged Sessions and many more. Road to Glory Days is now available on all digital outlets. Open Letter Freestyle and Midnight Party available for free download/stream, SlikourOnLife link: https://www.slikouronlife.co.za/artist/9372 Purchase the EP on itunes here: https://itunes.apple.com/us/album/road-to-glory-days/1459557343?fbclid=IwAR3V_ripliVmK-IZrc6n48m01o0lsFuksqoO8KlxmeJ6mPhqcsYInVD6Sy8 CLICK HERE to submit your press release to MyPR.co.za. . . . The eagerly anticipated RevAfrica festival will take place in less than 3 weeks. Poised as Africa’s leading music and bike festival, the event will see a number of local stars in action including Goodluck, Mi Casa, Freshly Ground, Mango Groove and more. Hosted at the East London Beachfront & Cricket Grounds from 25 to 28 April 2019, the event is set to attract thousands of attendees from across SA The 4-day festival will bring together the very best in music and motorsport all in one unique setting, here is a snapshot of what to expect at this year’s event: Daily Attractions There will be number of activations hosted daily at the the festival, including the Easy Rider exhibition, live demo drives, off road tours, self-drive biker tours as well as the popular Monster activations which will include BMX and Skateboard displays and a trial bike show. Guests will also have access to various hospitality and bar areas as well as a village market and food court. Thursday Thursday marks the official opening of the festival. Local DJ’s Robin Jansma from Radio Lowveld and Brian Ndevu from Algoa FM will keep attendees entertained, while a number of local bands will take to the stage and help set the tone for the weekend. Friday The Super-GP Practice session will kick start festivities on Friday from 09;00 at the East London Grand Prix Circuit while the Super-GP Qualifying will be hosted in the afternoon. Some of SA’s biggest and most popular music acts will be live on stage including; · 15:00 - Local Bands · 18:00 - Nhoza · 19:00 - Femi Koya · 20:00 - Dr Victor · 21:00 - Goodluck · 22:00 - Mi Casa · 23:00 - Undertone Saturday Festivities start with the very popular Super-GP Race, hosted at the East London Grand Prix Circuit. This will be followed by the Custom Bike Show, Stunt Show and Fashion Show. The entertainment line-up for Saturday, is just as impressive featuring a number of firm favourites. · 15:00 - Local Bands · 18:00 - Silver . . . Celebrating a phenomenal woman, Auntie Bee Legacy is a sense that someone’s life will have enormous tangible and intangible impact that will transcend time across generations. It’s hard to know if people are aware of the impact they may or may not have had on other people. Celebrations of a life often come, when impactful people cannot join the joint honour that beneficiaries of their remarkable existence display in their name. Berenice Le Grange will be fortunate enough to witness a celebration in honour of the years she has devoted to growing, influencing, exposing, up - skilling, inspiring, mentoring, coaching and loving the people around her. Her influence on the quality of education and performing arts in her community and the entertainment industry at large is a generational footprint that will outlive many of us. Her multiple titles run parallel and her work is reflected in scores of success stories in both the creative and academic sectors. The 65 – year old, Kimberley born mother of three, has devoted decades of her life to the church as an organist whilst establishing many firsts for entertainment and opportunities in her community and Johannesburg. The Eldos Arts and Jazz Festival stage has paired local talent with international sensations. The incident free jazz festival is an annual home to scores of creative and international visitors, and has seen over twenty thousand people in attendance on its best performing days over its ten - year lifespan. This project on its own has exposed and equipped youth in key skills needed in the events, hospitality and entertainment industries. It has also become a symbol of everything that is right with underdeveloped communities like Eldorado Park, that are reeling from social ills, a lack of exposure to opportunity and economic exclusion. 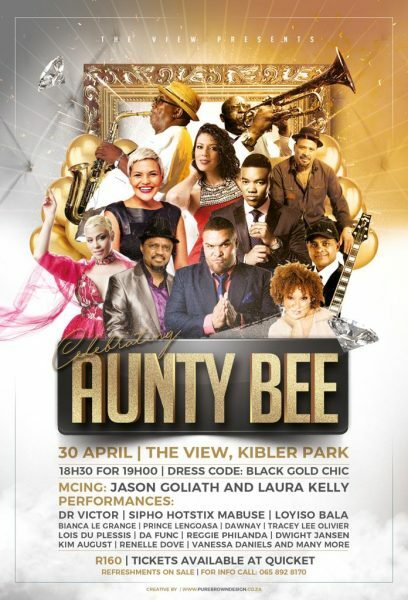 At the same time, Aunty Bee, as she is affectionately known, has groomed artists through her music schools and arts centres that have produced the country’s finest . . .
Cape Town, 28 March 2019 - Voice and percussion are the two sublime elements that underpin the dynamic musical partnership of Florence Chitacumbi and Mino Cinélu. Their upcoming Chitacumbi - Cinélu SA Reunion Tour will take place from late April to early May 2019 in time to celebrate International Jazz Day. The tour will feature original compositions that highlight Chitacumbi’s strong roots in jazz and Afro-soul, and Cinélu’s gift of rhythmic invention – which, in the words of his late friend Miles Davis, “can make any music swing!” “I am thrilled to come back to South Africa to share music. For me the Reunion tour is about breaking boundaries and to encounter “the other” and their culture in order to exchange and to generate artistic collaboration.” Says Flornece Chitacumbi. New York-based Cinélu - “the best percussionist in the world” (Canal +) - is the perfect fit for Swiss-Angolan Florence Chitacumbi’s worldly vocal inflections. With some 15 years of friendship, born out of the recording of Chitacumbi’s Regards Croisés album, the two artists bring together the riches of their multi-cultural heritages and explored musical traditions, from Congolese rhythms to French chanson. Known for their individual work with artists such as Sting, Herbie Hancock & Weather Report, Chitacumbi & Cinélu have continued to play and tour together, including to Africa in 2018, where they presented their new Reunion project at Jazz à Ouaga in Burkina Faso. Their 2019 South African tour will see them perform in Durban, Cape Town, Bloemfontein and Lesotho. 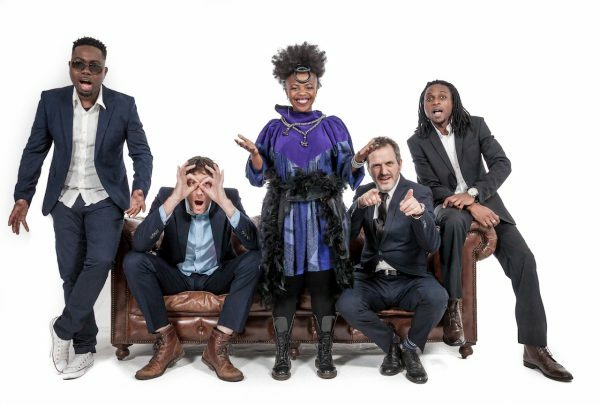 They will perform as a trio, accompanied by guitarist Christophe Bovet (Bee Bee Honey, Tiza Brown) and will invite a few of SA’s top musicians to join them, notably the multi award-winning Nduduzo Makhathini, who will guest on their final Cape Town concert on 4 May. 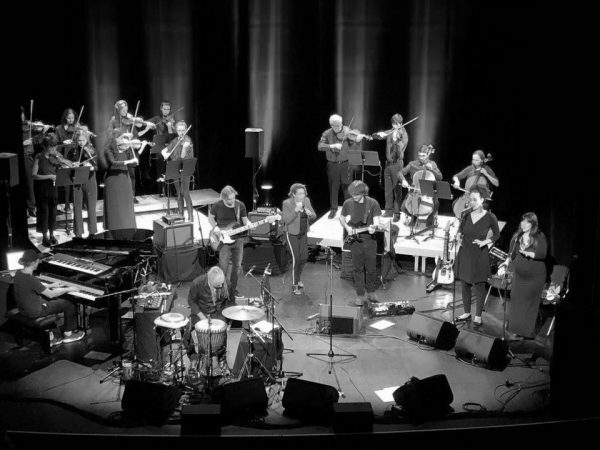 Audiences can look forward to a new creative approach, articulated around sophisticated, rhythmic and melodic arrangements that have been lauded by . 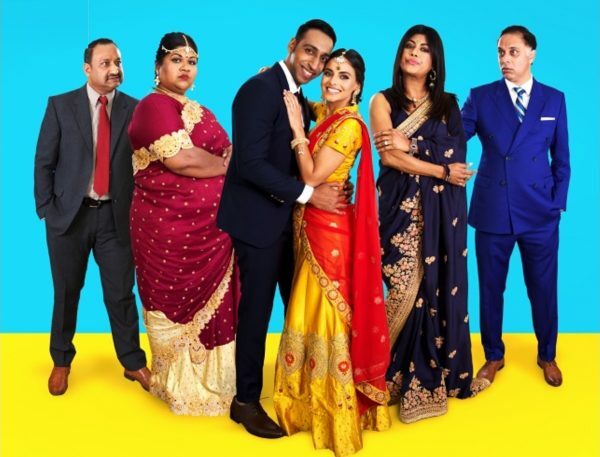 . .
On Saturday, April 20 from 11h30 to 12h45 head on down to Musgrave Shopping Centre (on level 2 opposite Nedbank)and meet the cast of The Kandasamy’s who are doing their promotional movie tour throughout the Province. What a great way to spend the Easter weekend! There will be an opportunity to win some spot prizes, meet & greet your favourite local celebrity and get that all time favourite “selfie shot”. (T’s & C’s apply). Kandasamys: The Wedding was filmed in Chatsworth as well as in and around Durban and highlights two families who are neighbours on the verge of becoming one big, happy family – The Kandasamy’s and the Naidoo’s. Brief synopsis: It’s been a few years since Jennifer Kandasamy and Shanthi Naidoo rekindled their once tainted friendship and the two could not be happier that their children Jodi and Prishen are to be wed. It’s the week before the big day and emotions are heightened. It’s colourful and loud and vibrant and spirited as everyone gets into the wedding week mood. Jennifer holds the reigns to all the wedding preparations and Shanthi focuses on the festivities held by the bridegroom. The story weaves against the backdrop of an Indian South African wedding and Jodi and Prishen’s love is put to test once again by the ones who claim to love them the most – their mothers. Jennifer and Shanthi have to learn how to let go of their children so that they can be happy and in turn realise that in the end, their children’s happiness is the source of their own." What better way to live the good life for this Easter on Saturday, April 20 where you can meet your favourite cast member: Jailoshini Naidoo, Maeshni Naicker, Mishqah Parthiephal, Madhushan Singh, Koobeshen Naidoo, Ugan Naidoo & Vashir Kemraj. Your host will be Madhushan Singh, who plays the part of Prishen Naidoo, (Preggie and Shanti Naidoo’s son) and Jodi’s boyfriend / fiancé. For more information call Musgrave Shopping Centre during office hours on . . .
Xenee Lee dishes out list of his accomplishments WITH the SOT mixtape. A young king in his prime. — 2017-10-11 15:39 on Twitter: If there is one thing you cannot take away from the young man Xenee Lee, it’s his unrelenting work ethic. The rapper has had one difficult life, and everything has lined itself up for the Adelaide - born rapper to spill into 2019 in a big way. We did say it a few times that Adelaide Rapper was created for the purpose of causing destruction. The SOT mixtape was curated to trend and to do so there has to be some shocking additions to the list of the #HottestMCs in South Africa. Read – Xenee Lee etched in history with South African rap music. He is still blowing up. Xenee Lee teased his YXL snippet in 2018 on YouTube. Twitter / @XeneeLee The begging question that his legion of fans will be arguing if he is hot or not. 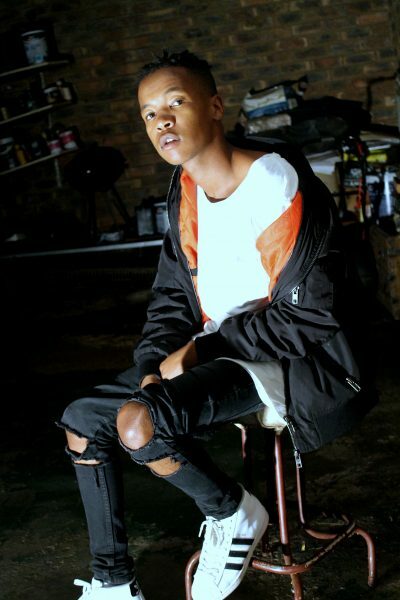 Xenee Lee made it a lot simpler for his fans to bring the super facts to the table with a string of tweets that proved that the conversation will soon turn to whether Xenee Lee is the upcoming GOAT of South African Hip-Hop, and if the room is unable to reach a consensus, at the very least, the kid will have a leg to stand on. CLICK HERE to submit your press release to MyPR.co.za. . . .